Business Hours: Monday - Friday 9:00 am - 5:00 p.m. The Utility Billing Office is responsible for billing, collecting, and providing services for water, sewer, storm water and sanitation. THE NEW ONLINE PAYMENT PORTAL IS NOW UP AND RUNNING. VISIT myCity of Bucyrus Account today and create your new account. If you were a privous user of the old system you also will need to create a new account. Your old user name and password will not work. 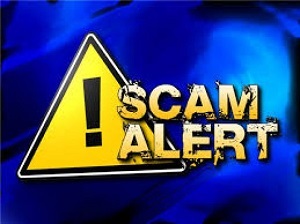 You will need your Customer ID Number that is printed on your bill to create a new account. All household trash shall be placed in metal or plastic containers with lids, or plastic bags that are not to exceed 45 gallons or weigh more than 35 pounds. Each household is limited to 6 bags or cans or a combination of the two. Additional fees will be billed to your account if you exceed these limits. To ensure pick-up, have your trash placed at the curb by 7:00 am. Collection times may vary. Please contact the Utility Billing Office with questions about the Garbage Collection Policy. The City of Bucyrus Solid Waste Department will only pick up furniture items if they are completely wrapped in heavy plastic sheeting. Do you reside alone? Are you a retired person 62 or older and whose spouse or domestic partner is 62 or older? You may be eligible for a reduced rate on your garbage collection fee. To obtain the benefit of the reduced fee for a householder who resides alone, or who, together with his or her spouse or domestic partner has attained the age of sixty-two years or more, the householder must file with the City Water Department an application which shall include proof of age of the householder and spouse or domestic partner, and, if applicable, shall include a signed statement attesting to the fact that said householder resides alone. Note: any householder who consumes more than 500 cubic feet of water per month in each of three (3) consecutive months shall be presumed to be ineligible for the reduced fee, and said householder’s account shall be converted to a standard household (Bucyrus Codified Ordinance 931.03(b)). Call the Bucyrus Utility Office at 419-562-6767 to take advantage of this reduced rate today. You will continue to have access to the Bulk Fill Station at the old Water Treatment Plant with an access code. If you do not have an access code, call the Water Treatment Plant at 419-562-7951. You will be billed accordingly at the end of each month. We appreciate your patience and cooperation during this time of transition to our new facility. www.ohiowea.org Ohio’s Water Quality People! YOUR CITY/TOWN NAME offers the convenience of accepting MasterCard, Discover, American Express and Visa credit cards for ENTER YOUR PAYMENT ITEMS. The payment processing company charges a service fee of 0% or $0.00 minimum to cardholders who use this service. Just stop by our office or give us a call at ENTER PHONE NUMBER to use your MasterCard, Discover Card, American Express or Visa. Now you can pay your ENTER YOUR PAYMENT ITEMS from the comfort of your home or office by using our online payment service. Credit cards accepted: MasterCard, Discover, American Express or Visa. A per transaction service fee of 0% or $0.00 minimum will be charged by the payment processing company for this service. YOUR CITY/TOWN NAME now accepts electronic check payments using our online payment service. Payments will be charged to your checking or savings account at your bank. You will need your 9-digit routing number, as well as your account number from your personal checks (see example below). A per transaction service fee of $1.50 will be charged by the payment processing company for this service. Your online payments are secure! You can make utility payments at our website with confidence. We have partnered with Noble Payment Technologies, a leading payment gateway, to offer safe and secure credit card transactions for our customers. Noble Payments Technologies manage the complex routing of sensitive customer information through the credit card processing networks. The company adheres to strict industry standards for payment processing. For additional information regarding the privacy of your sensitive cardholder data, please contact our office. There will be a fee assessed to your credit/debit card when paying online or in the office. You will be alerted to the amount before the transaction is complete. This fee will not be refunded if a duplicate or overpayment is made. In addition, please allow 2-3 business days for any debits to appear on your accounts when paying by credit or debit. Payments made via the website or in the office are final and are not reversible. Please use caution when entering online payments. Payments returned to our office for non-sufficient funds are subject to a $25 fee and can result in immediate disconnections of service. Please contact the Bucyrus Utilities Billing Department at (419) 562-6767 OPTION 2 if you have any questions. The City of Bucyrus now offers customers the option of paying their utility bill electronically. Funds are transferred from the customer's checking account directly to the City to pay for all services that are on the City's utility bill. Simply come to the office and complete the authorization form along with a voided check. This will help ensure that your transactions are appropriately posted. Allow 1-2 months for processing and withdrawals to start. Continue to pay your bill via other methods of payment until a message appears on your bill showing the withdrawal of electronic payment. Payments are deducted on the due date or the closet to the due date, depending on holidays and weekends of your billing statement each month. The City of Bucyrus' bank will instruct your bank to deduct the entire amount of your utility bill from your checking account. Your bank will deduct your payment amount and forward the payment electronically to the City of Bucyrus' bank. 5. Will I receive a notice of payment due from the City of Bucyrus each month? Yes. The City will continue to mail your utility bills to you as usual. However, in the message box on the bill it will clearly state that your account has been set up to have payments made electronically. If you have questions or concerns regarding your bill or the amount due, you should contact the Bucyrus Utilities Billing Department at (419) 419-562-6767 option 2. You must notify the Bucyrus Utilities Department 30 days in advance in writing that you want to stop paying your bills electronically. Please note that payments made through a bank’s e-pay system are not directly deposited to the city. A physical check is processed by the bank and mailed to the Bucyrus Utility Department. This process can take 5 to 10 business days depending on the banking institution. Accounts are considered paid upon receipt of the physical check from the bank. The City of Bucyrus Water Department will begin their annual flushing of fire hydrants on Monday July 9, 2018. Flushing will continue Monday – Friday through September. 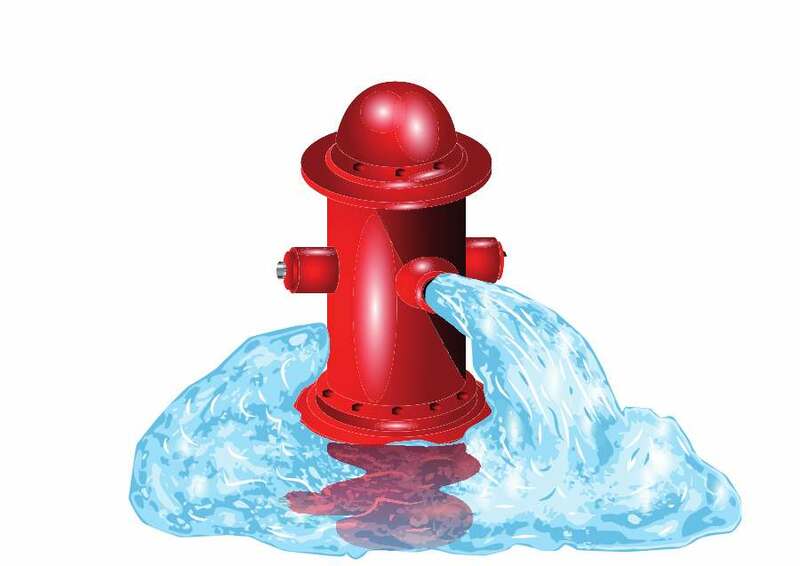 Discolored water may be temporarily present in homes and businesses following hydrant flushing. Please be advised to flush cold water through a faucet until it runs clear. If you have further questions or concerns, please call the City of Bucyrus Utility Office at 419-562-6767 option 2 during weekday business hours. What is a cross-connection? Any physical connection created between a possible source of contamination and any drinking water system piping. Starting August 15th if you pay your utility bill with a credit or debit card online or in our office you will be charged a fee by Noble Payments. Fees are based on what type of card you will be using. The City of Bucyrus will not be receiving any of these fees charge by the credit card company. We will still be accepting cash and checks and auto withdrawal from your checking account at no fee. In 2018, the City of Bucyrus detected 10 contaminants in the drinking water and none of them were above the EPA Accepted level for drinking water. There was one reporting violation. https://www.cityofbucyrusoh.us/ccr-2018.pdf This report contains important information about the source and quality of your drinking water. For a translation of the water quality report or to speak with someone about the report please call 419-562-7951. If you would like a paper copy of the 2014 Annual Water Quality Report mailed to your home, please call 419-562-7951. If anyone calls you or your business saying your water bill is past due and they will come to collect the money do not give them anything. City utility employees do not collect money at residences or businesses, only at the utility office. Make checks payable to City of Bucyrus Utility Dept. Automatic Payment is available. Customers may opt to have the payment deducted from their checking or savings account on the due date of each month. For these services, please contact the Utility Billing Office. Check all toilets and faucets. Leaky toilets and faucets are the biggest cause of wasted water resulting in large bills. The most common source of leaks is the toilet. Check toilets for leaks by placing a few drops of food coloring in the tank. If after 15 minutes the dye shows up in the bowl the toilet has a leak. Leaky toilets can usually be repaired inexpensively. 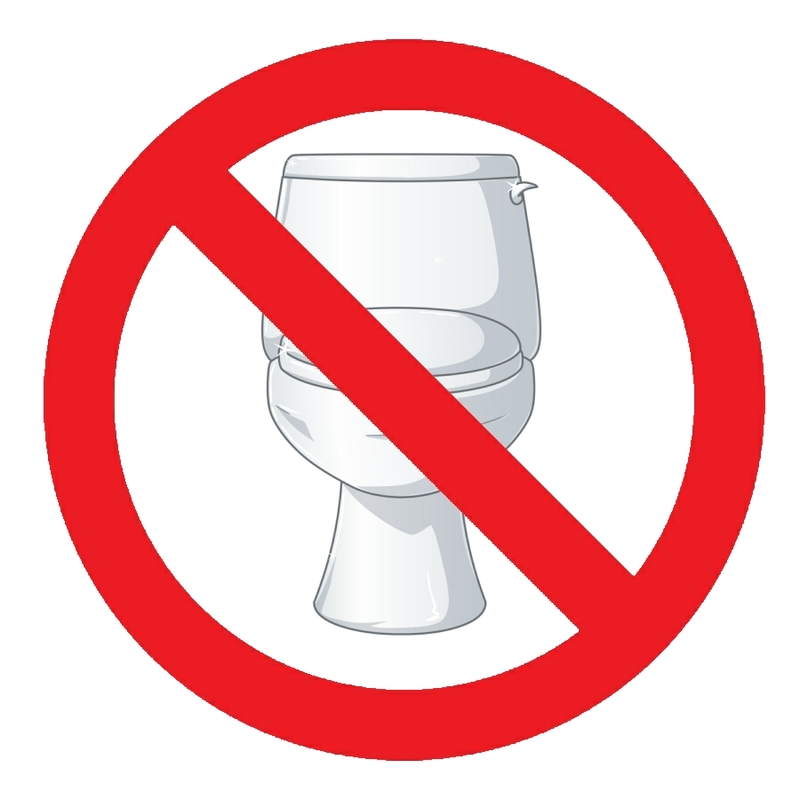 Toilets can account for almost 30% of all indoor water use, more than any other fixture or appliance. 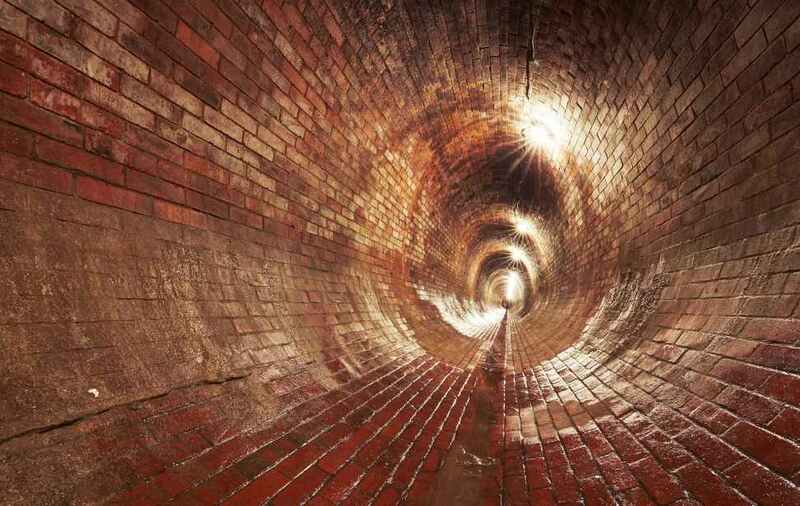 This old brick sewer is representative of the main sewer that runs through the heart of Bucyrus. I signed a historic agreement on Thursday, September 24 in Council Chambers. The City of Bucyrus and the United States Environmental Protection Agency have reached an agreement as to the plan for separation of our storm water from our sanitary sewers. Negotiations have been ongoing for fifteen years and has been full of contention and impasse. We risked the threat of civil and criminal penalties but now have an agreement in place that will begin the process of relieving pressure on the Buffalo Run, our sanitary sewer that runs through much of the center of Bucyrus. Separation will take many years and we will begin next year on Plymouth Street with Southern Avenue being the next phase. The agreement is good for Bucyrus because it allows us to avoid hundreds of thousands of dollars in fines and also allows us to plan manageable time periods for construction. Your Bucyrus City Council, under the leadership of Garnet "Sis" Love, is to be commended for their unanimous support of the project. Without their cooperation and vision for the future of Bucyrus this historic agreement would not have occurred. There is sacrifice for all of us including the EPA fee of $7.20 that you may have noticed on your last utility bill. Clean water has been in the news a great deal lately and we can say that Bucyrus residents are doing their part and I commend everyone for your support of our plan. You are making a difference in your city, in your beautiful river and in your outstanding lake. You may have recently read about a Federal Environment Protection Administration (EPA) order that will be issued for the city of Bucyrus in 2015. This order is the culmination of many years of planning and negotiation with the both the State of Ohio EPA and Federal EPA. The issue is the amount of sewage overflows that occur during heavy rain storms when raw sewage from the city of Bucyrus empties directly into the Sandusky River. This happens because our current wastewater treatment plant cannot handle the volume of water and sewage during large storms. Water pollution has been on the forefront of the news in the last few years—especially for Lake Erie where dangerous toxins have formed each summer which make Lake Erie unsuitable as a water source for drinking as well as recreation. The EPA is looking at all sources of pollution for the lake and the overflow from city sewers in one of the causes of river and lake pollution. City officials and engineers have proposed a long term separation plan that will reduce the number of overflows as required by the EPA and they will be accepting our plan this year. The plan will take many years to complete and in the end we will have turned our main sewer line into a storm water line. The first seven year phase begins in 2016 and there will be multiple phases before the project is completed. City officials, engineers and the EPA will reevaluate progress before each seven year phase is approved. There is good news. Part of Bucyrus has already had storm water and sewers separated. We estimate that thirty percent of the city has been finished when streets were reconstructed, in anticipation of the EPA order. In fact, Plymouth Street will be the next project that will be completed and this will take place in 2016. So we are well on our way to complying with the mandate but more work needs to be done and the work needs to be done on a timely schedule. Unfortunately for the residents of Bucyrus there are no federal funds available for the EPA mandates. We will have to pay for the project out of fees generated by users. Beginning with the August utility bills you will notice a new charge called the “EPA Fee.” This charge will be $7.20 each month and this fee will go to fulfilling our EPA mandate requirements. There will also be a small monthly increase in the sewer portion of your bill of 3% per year for the next five years. We don’t like to announce rate increases but we have no other choice in the matter and we ask for your patience and understanding as we do our part in making sure that our waterways are clean. We have a new rate for the City’s electric aggregation starting on your July billing 2017 for the month of June 2017. This contract is valid for 3 years (36 months). The new rate from AEP Energy is .05787 per kilowatt. The current rate is .0632 until June billing for the month May of 2017. If you are currently on the program you will be receiving a letter with detailed information. We have a current rate of .4686 per cf on the City’s gas aggregation that started in December of 2016. The supplier is Constellation. This is 2 year term (24 months).